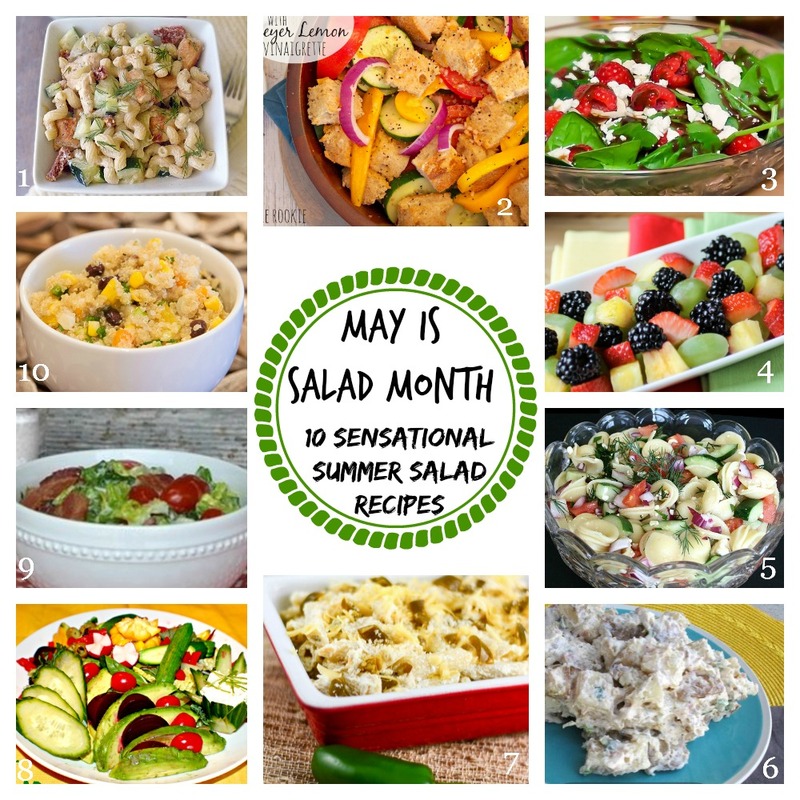 Jalapeño Popper Pasta Salad is my contribution to a Summer Salad Recipe Round up with several fantastic bloggers to celebrate May as Salad month. 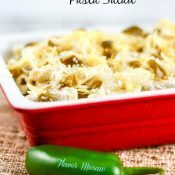 This Jalapeño Popper Pasta Salad is perfect for a barbecue, picnic, or pot luck…..spicy, creamy, crispy, and crunchy. 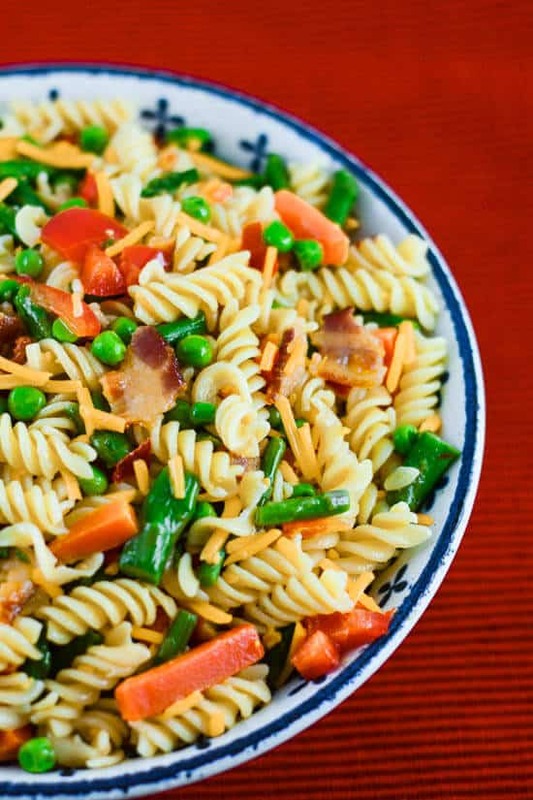 This pasta salad includes jalapeños, and bacon just as in a jalapeño popper appetizer, providing a bit of a kick to the usual summer pasta salad. Run cold water over pasta to stop the cooking process. Set aside. In a large bowl, whisk together mayonnaise, sour cream, garlic powder, and pepper together. 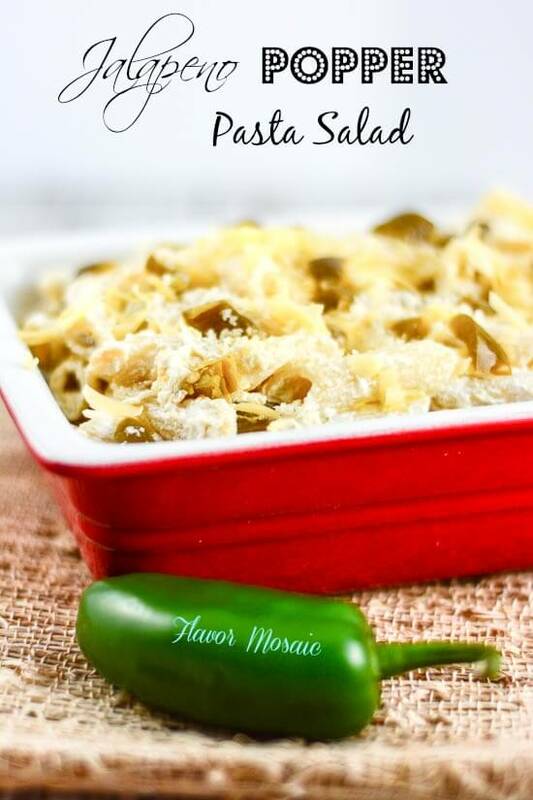 Stir pasta, jalapeños and bacon into the mayonnaise dressing until combined. Refrigerate until ready to serve. Sprinkle crackers over the pasta salad before serving. In honor of Salad month, here is our full list of Salad recipes. I’m not sure which one I want to try first! They all look wonderful. Please visit these wonderful blogs, and pin and share your favorites. 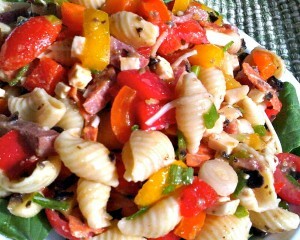 You may also like my Antipasto Pasta Salad. Another pasta salad you may like if my Bacon Pasta Salad Primavera. If you are looking for a green salad, try my Apple Walnut Cranberry Salad. Love this! 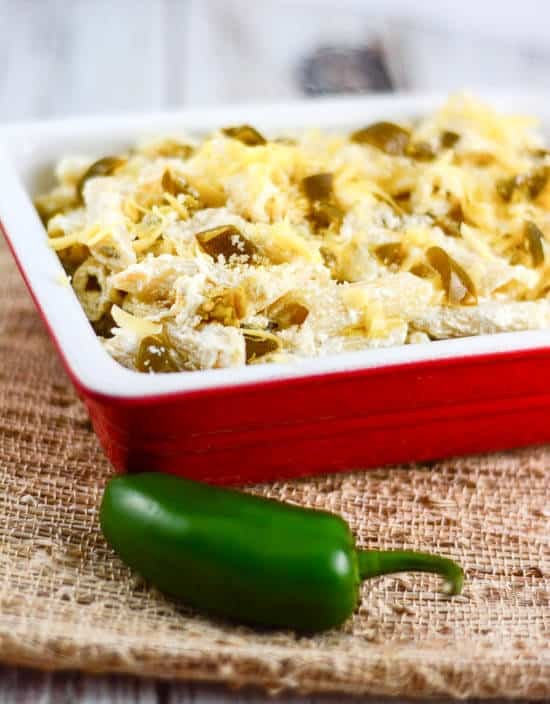 We love your Buffalo Chicken Jalapeno Popper Pizza, so I can’t wait to try this!! I still have Ritz Crackers, so this would be a great way to use some of those up!! Pinning!! Oh my gosh I just salad died this looks AMAZING! LOL Erica! I know what you meant! Thanks for the compliment. You have some amazing recipes too!